I’ve been alerted to four tempting cash back credit card offers in the last month or so – two by commenters, one by Kyle, and one through online searching. Kyle and I are still working on churning our second Barclaycard Arrival™ World MasterCard® – Earn 2x on All Purchases (affiliate link – read my review! ), but we should be done this month with Christmas travel and gifts. It probably isn’t the best idea to sign up for all four cards right when we finish churning this one, but maybe we’ll start with one or two. There are two cards available now that can help you pay down your student loans or save into a 529. I have Sallie Mae student loans and a Upromise account so either one of these cards would work well for us. Both cards are issued by Barclaycard but they have quite different rewards structures. Thanks to Andrew from Living Rich Cheaply for mentioning this card in the comments! The Sallie Mae Mastercard credit card generates cash back that directly pays down your Sallie Mae student loans. The big attraction is that you get 5% back on eligible groceries, gas, and books purchases. 5% back on groceries and gas all the time is quite hard to find! The 5% rewards is capped at the first $250 per month you spend on groceries or gas (each) and the first $750 you spend on books. That would be great for us as we don’t typically spend enough to reach the caps. The rewards rate on everything else is 1%, so this is a good choice even for a base card. Plus, there’s a $25 bonus after you use the card for the first time. This rewards rate is so high that I wonder why I haven’t heard much chatter about this card – perhaps because not many people have Sallie Mae loans hanging around? Plus, the first time you use the card you’ll receive a $50 bonus (it looks like that’s only through an affiliate link – if you go straight to the website it’s a $25 bonus). By far, the most enticing category here is the additional 5% back on certain purchases made online through the Upromise portal using this card. When making purchases through Upromise, the participating retailers offer hefty cash back percentages to begin with, so that 5% from the card is on top of whatever the normal cash back rate is for that retailer (between 1 and 20%, most often 5%). Upromise provides a full list of participating retailers at their regular cash back rate, so add 5% to that if you are using the Upromise World Mastercard (but there are some exclusions like for travel, subscriptions, services, and other categories). Personally I’m not too swayed by the 1-4% categories here, but the potential of getting 10% or even more back for online shopping at certain retailers could really be worthwhile. Looking at the list of retailers, there are several present that I do shop with online, like Macy’s (5%), American Eagle Outfitters (5%), New York and Company (5%), and Vistaprint (5%). I used to be in the habit of checking Upromise’s cash back rate before making online purchases, and if we sign up for this card I would definitely pick that practice back up. I mean, 10% back is practically unheard of! Kyle saw this very tempting offer on a Hulu commercial, of all things (I ignore them but I’m glad he didn’t!). It’s the BankAmericard Better Balance Rewards credit card. It has an incredible bonus ratio, and it would be very little work to get the bonus regularly if you set it up properly. Bank of America gives a $25 quarterly bonus if you pay more than the minimum payment on time every month for this card. For those of us who pay our cards off in full every month (as everyone should), of course that is no problem. You do have to use the card and charge more than the minimum payment each month ($15 at least) in the quarter to qualify for the bonus. If you have a Bank of America checking, savings, or retirement account, you’ll get an extra $5 bonus per quarter. If we were to sign up for this card, we would put the smallest monthly recurring charge we have on it that is more than $15. We would autodraft the bill from this account, set up an automatic payment to pay it off in full and ahead of time, and not even keep the card itself in our wallets. The account would exclusively be for paying this one bill. You can redeem the rewards as a statement credit, but we would elect to have it deposited directly into our BoA checking account (finally a use for it!). A $30 bonus each quarter straight into our checking account just for paying off $15 or so every month? No brainer. We would just need to be careful to switch out that recurring charge for another one should it ever end, or begin keeping the card in our wallet and charging just about the minimum in discretionary purchases. But aside from that kind of transition, the mental energy this takes is close to zero! Thanks to Leigh from Leigh’s Financial Journey for pointing the Fidelity Investment Rewards Amex out to me! We don’t have an Amex and I really want one for spending at Costco. Actually, there are three related cards that all offer the same rewards structure: 2% back on all purchases, which you deposit in $50 increments into your linked Fidelity account, whether that is a retirement, brokerage, or 529 account. It’s pretty rare to find a card that offers 2% back on everything (where Amex is accepted, of course), so it might be worth it to sign up for a brokerage account or something even though I no longer have a Fidelity IRA. Even if we only used this card at Costco, based on last year’s spending we would have generated $76 in rewards! I think this would be a great choice if you 1) already have an eligible Fidelity account or don’t mind signing up for one, 2) want a great high-rewards base card so you don’t have to fool with rotating cards for various categories, or 3) like us, you want an Amex to use at Costco or a similarly limited retailer. Wow, I am so excited writing up the details for all these cards that I want to sign up for all of them immediately! But will probably be too many cards to have put play at once, though maybe we can assimilate them over time. I’ll only have my student loans for a few more months, though, so we should get the Sallie Mae Mastercard card into our wallets, at least for groceries and gas! The Better Balance Rewards card would also be an easy one to get started – we might even sign each of us up for one for an easy $240 per year! 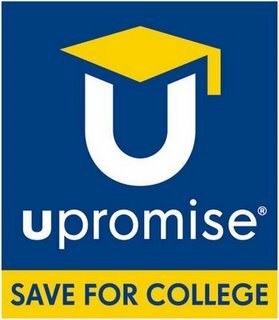 We could really use the Upromise World MasterCard® long-term, because even after my student loans are paid we could switch the rewards over to fund our firstborn’s 529. And the Fidelity card would be great to use because we are getting zero rewards from our Costco spending right now. 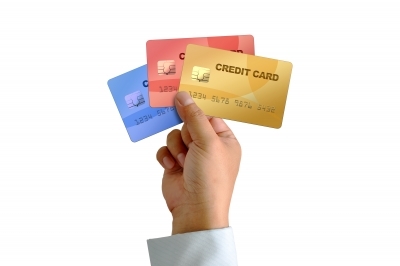 What credit cards offers are you excited about right now? Which one of these might you sign up for? How do you limit yourself from signing up for too many cards and making your system too complex? 25 Responses to "Tempting Cash Back Credit Card Offers"
Those are awesome cards – the third one is hilariously simple! I like the idea of the ones that pay off your student loans, but that’s just me. Either way, you have some great options there! It does seem very simple. If we get it, I will report whether it works like we think it should. I’m not particularly excited about paying down loans since they are at 0%, but it would definitely be an unconscious way to do it for people who are actively working on that goal. If it was possible to love a credit card, I would say that I love the Fidelity Amex. The 2% on everything without worrying about categories or anything is so awesome! I use this card for pretty much everything except Amazon.com and foreign purchases or places that don’t take Amex, which works out to it being most of my spending, which is pretty sweet 🙂 It really makes me think that the people who have few cards are onto something! It’s so nice to basically have one card. Since you won’t have your student loans for much longer, I probably wouldn’t get either of the Sallie Mae ones. That’s good to know that it’s straightforward to get the money out of the Fidelity linked account. If it were linked to Vanguard I would let it go right to our IRAs, but if we sign up for it I’ll probably just take the rewards into our checking/savings like you said. That’s a great standard for whether or not to get a new card. It’s kind of a waste of time to seek out incremental increases in certain categories or whatever. Sometimes I’m tempted to simplify and sometimes I’m tempted to get more complex. I used to be interested in that US Bank card, but then they eliminated/downgraded the categories we wanted to use it for (utilities). Hmmm I found a $200 sign-up bonus for the Chase Freedom card if you spend $500 in the first 3 months (that’s pretty easy). The 5% back for restaurants April-June and Amazon.com October-December would be nice, but only account to an extra $40 for the year, so it would only meet my $100 rule because of the $200 sign-up bonus. Hmmmmmmmmmmm. I already have a Chase card (the Amazon.com one), so it isn’t a new login to remember either. I’ve also been debating the Barclaycard, but I am not sure I could “spend” the $400 sign-up bonus on travel, which is why I’ve been so hesitant. I just don’t fly that often anymore and I hardly ever stay in hotels. My boyfriend and I have also been talking about making some trips next year, but one person would probably put the flights on their credit card and then the other person pay them back, so I’m not quite sure if I would end up being able to use the $400 credit then! I wish I could take advantage of the sign-up bonus because it is a good card! But if the long-term rewards aren’t worthwhile, maybe it’s not a good one for you. We’ve been using it less and less as we’ve made our system more complex, but it’s still our base card. We are basically going on faith that we’re going to travel within the first year of having those cards. Typically we fly several times per year, but this hasn’t been a typical year and we have nothing firm on the horizon. I would have liked to put travel toward the $1,000 minimum spend to consolidate the amount of time we had to use the card, but I didn’t want to miss the offer. I guess you should just wait until you’re sure that you will be booking travel and hope that the bonus is still available? You can redeem the points for statement credits not related to travel, but then they are worth half. Still, a $232 sign-up bonus isn’t too shabby. I’ve been using the Fidelity Amex for years and I love it. It doesn’t have any of the crazy bonuses that the other ones have, but a straight 2% on everything is easy and hard to beat. It is hard to beat – it would take a lot of effort rotating cards! I’m glad to know you’re happy with the card. Hey, that’s awesome that you are using two of these cards! Do you go through the Upromise portal when you are making purchases online? Also, you can add your name to your wife’s Discover card without closing the account… Not sure if the intention for hiding purchases is generous or mischievous, since you mentioned closing the account! The Fidelity Amex is a cool card. It’s like a supercharged cash back product. It makes it really easy to make the most out of your “points” seeing as it’s cash straight into your investments! I love that the contributions could go straight to investments without any more decision-making on my part. Did you already have a Fidelity investment account when you signed up for the card? Hey Emily…thanks for the shout out! I’ve had the Sallie Mae card for about a year and I use it pretty often…I was in search for a card giving 5% cash back for gas. Plus, I use it at the supermarket…who doesn’t go to the supermarket? And for the books, I should check but when I’ve made purchases at Amazon which were not books, I think I still got 5% cash back. Doesn’t matter if you don’t have Sallie Mae loans, you can just get a statement credit if you don’t want to apply it to a loan. Andrew@LivingRichCheaply recently posted..Do You Judge Someone’s Financial Worth By The “Cover”? That’s great to know about the Amazon rewards! That seems pretty crazy that they are still classified as a (text)bookstore. And thanks for the clarification on the redemption process. Now I really don’t know why I haven’t heard of it more in the past because it seems like a great card. If you want an Amex, have you thought about the Amex SPG? They have great sign-up offers from time to time (not sure what the current offer is) that will you get several stays at a Starwood property. After that it’s $65/year, but you can always try it out and then cancel before the first year’s waived fee period if you decide it doesn’t work for you guys. I haven’t really considered it, but I should. I’ve seen lots of bloggers churn it. We probably only stay at a hotel like once per year, though, so I’m not sure it would be a great fit for us. Have you thought of the Costco Amex instead for shopping there? They have great perks for cash back, especially to use for their gas. Personally, I would recommend churning the Starwood Preferred Guest Amex if you’re looking to travel someplace nice, perhaps as a graduation or some other celebratory trip. I LOVE Amex… I’ve had great customer service with them every time I call so I can’t imagine never having a card with them. I’ve had a Blue card since 2007 and a Skymiles card since 09 and they put a cute note about my 5 year anniversary in my statement in 2012–the little things, I tell ya! I have considered it, but now that I know about the Fidelity Amex I think that’s a better choice since the Costco one is only 1% back. You’re the second person to recommend the Starwood Preferred, so I will look into it! I have my doubts but I should confirm them. I’m glad to hear you’re happy with Amex. I guess I’m still a little leery of them in comparison with Visa and MasterCard. That is really funny about the 5-year note! I very much enjoy cash back card offers. I just don’t think that the rewards are as much as a points program. For instance, I can go on a free trip with a travel card each year but I may only get $200 back with cash back. I agree travel rewards can be very lucrative for certain types of spenders/lifestyles. They also takes more effort than cash back cards, which is probably a big reason why cash back is so popular. I’m glad you’ve found a system that works for you! I realize this is an old post….but recently Citi launched their Double Cash mastercard which earns 2% on everything, no annual fee (well technically 1% and then 1% after you pay your bill…but w/e). No need to open a new account to redeem cash back – you can get statement credits or a check. This also address the concern some people have about smaller businesses not accepting Amex as much. That sounds like a great card! It’s rare to find a 2% card with no annual fee.